Used Bin Troll Tweets DD. “Crazy Girl Crazy.” Luciano BERIO: Sequenza III (1965). Alban BERG: Lulu Suite (1934). George GERSHWIN: Girl Crazy Suite (1930; arr. Bill ELLIOTT and Barbara HANNIGAN, 2016). 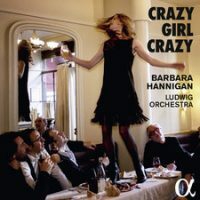 Barbara Hannigan (sop), Ludwig Orchestra, Barbara Hannigan (cond.). Alpha 293 (1 CD) (http://www.outhere-music.com/). Pairing Gershwin and Berg is absolutely brilliant, but the latter is doomed by a milquetoast group. However, Hannigan is not deterred. MAYBE. 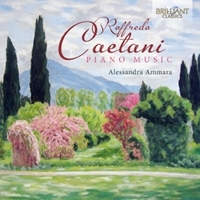 Rofreddo CAETANI: Ballata in F-sharp Minor, Op. 9 (1899); Four Impromptus, Op. 9 (1899); Toccata in D, Op. 9 (1899); Sonata in A-flat, Op. 3 (1893). Alessandra Ammara (pno). Brilliant Classics 94909 (1 CD) (http://www.brilliantclassics.com/). Caetani warrants mention alongside Liszt (a mentor) and Brahms. The large Sonata appeals, but the Op. 9 group is particularly splendid. YES. “Point and Line.” Claude DEBUSSY: Études pour piano (1915). Toshio HOSOKAWA: Etudes I-VI for piano (2011-13). 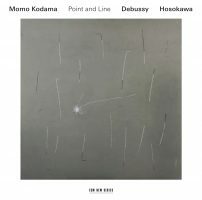 Momo Kodama (pno). ECM New Series 2509 (1 CD) (http://www.ecmrecords.com/). One can stomach only so much breathless Impressionistic Debussy in a lifetime. The Hosokawa interests, but not enough to tip the balance. NO. 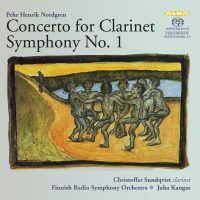 Pehr Henrik NORDGREN: Concerto for Clarinet, Folk Instruments and Small Orchestra, Op. 14 (1970); Symphony No. 1, Op. 20 (1974). Christoffer Sundqvist (clar), Anna-Karin Korhonen (kantele), Ilkka Heinonen (bowed harp), Markku Lepistö (two-row accordion), Finnish Radio Symphony Orchestra, Juha Kangas (cond.). Alba ABCD 359 (1 SACD) (http://www.alba.fi/). A shade darker than Nielsen’s, the Concerto’s folk instruments delight. The Symphony is bleaker but rounded out with engaging surprises. YES. 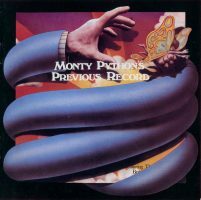 “Monty Python’s Previous Record.” Caroline Records CAROL 1106-2 (1 CD). Crisply performed audio from several Season Three skits plus sketches not available elsewhere including a rundown of Australian wines. MAYBE. Philippe MANOURY: Le Livre des Claviers (1987-88); Métal (1995). 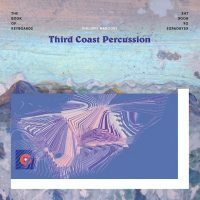 Third Coast Percussion. New Focus Recordings FCR187 (1 CD) (http://www.newfocusrecordings.com/). Impressively difficult pieces for pitched percussion finely executed, however, there are scant sparks and it’s hard to summon excitement. NO.